Writes books for young children. New book! Captain Sillyvoice and the Sea Monster available now. For those who want to know more! Ruth Whenham began her career as a freelance writer a short time before reaching her 40th birthday. To say it was something of a mid-life crisis would be absolutely true! A graduate of Human Psychology and a former employee of the National Health Service, Ruth now splits her time between writing, looking after her family (she has two children) and volunteering at her local Citizens' Advice Bureau. Ruth combines jaunty rhyming verse, humour and great characters to create stories that are entertaining for young children and for their parents alike! To date, Ruth has published six children's picture books; all of which have been illustrated by talented artist, Emma K.L. Hunt. My Crazy Purple Pen - featuring a crazy purple pen (funnily enough!) and a whole host of other fun characters who get caught up in the magic pen's cheeky mischief. The Day My Teacher Came to Tea - a story about a cheeky boy whose mean teacher comes to tea, and the farce that ensues. Birthday Cake Disaster - a tale about a girl baking a cake with her dad, or at least trying to. It's okay, the ending is a happy one, despite the title! Captain Sillyvoice and his Pirate Band - a swashbuckling adventure featuring the very amiable Captain Sillyvoice and his rather unusual crew. In this tale these awesome pirates find a way to have fun, be themselves and become a success on the high seas. 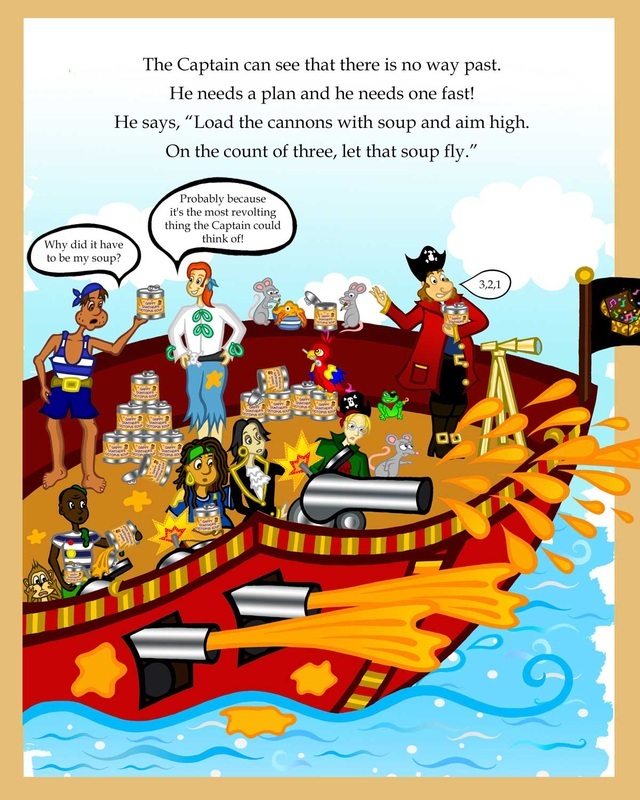 Captain Sillyvoice Takes to the Stage - the Captain and his crew return for another fun-filled adventure during which they find themselves up against the big and mean Captain Scaryscar in a singing competition. How will they and the other pirate stars of the show get on, and who will be crowned the Sea Shanty King? Captain Sillyvoice and the Sea Monster - Captain Sillyvoice is in a spot of bother once again! A hungry sea monster is heading towards his ship and there seems to be no way past. Join in the fun as the ever-so-nice Captain and his awesome crew try to reach their fans over on Blue Banana Beach. They have a pirate poptastic show to perform after all. I love to receive feedback on my books and am happy to answer any questions you may have too. You can contact me through my facebook page, my author page on Amazon, comment on my blog entries or send me an e-mail to ruthwhenham@whenham.com.